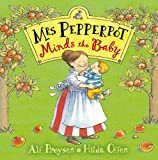 The first Mrs Pepperpot stories were written in the 1960s and published as short story collections with line drawings, achieving something of a classic status. 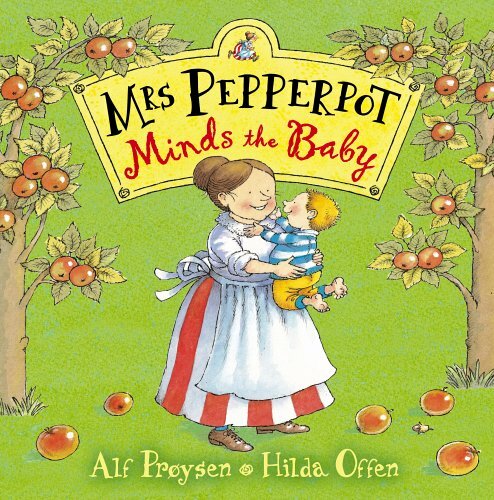 Mrs Pepperpot is a dauntless and resourceful character who seems (at first glance) to live a normal domestic life with her husband in the Norwegian countryside. Mrs Pepperpot’s life, however, is anything but normal for she has the unfortunate habit of shrinking to the size of a pepperpot (hence her name) usually at the most inopportune moments. 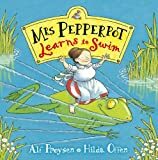 This knowledge, provided in the first story and embedded in the opening tale of subsequent books, heightened the enjoyment for young listeners or readers who were ‘in the know’ with the author. 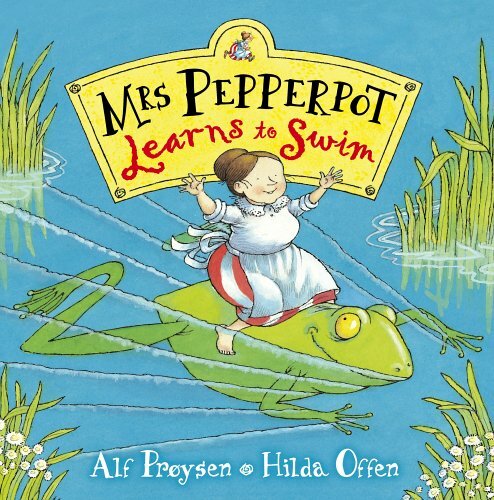 Now abridged and newly illustrated in full colour by a British artist are two picture book adaptations wherein that same Mrs Pepperpot becomes a child’s plaything when she minds baby Roger while his mother is on a shopping expedition, and fulfils her lifetime’s dream – to learn to swim – when she is taught by a frog, having shrunk in mid dive. In these new versions there is none of the original, contextual, background information nor that shared bond with the author vis-à-vis Mrs P’s unfortunate habit.